This estate is a piece of music history. 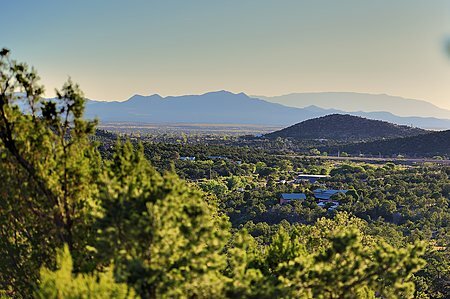 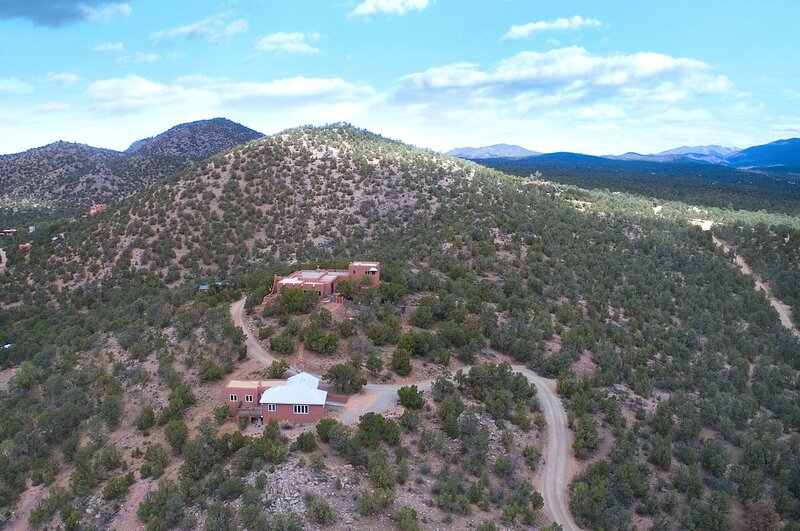 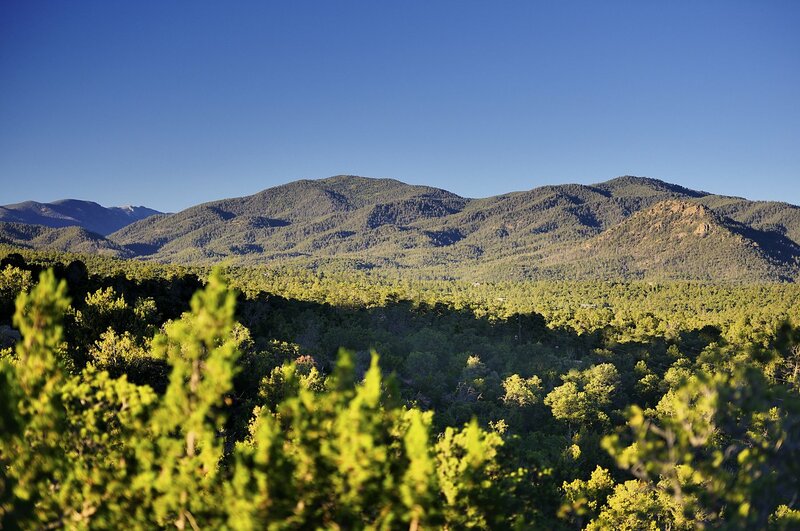 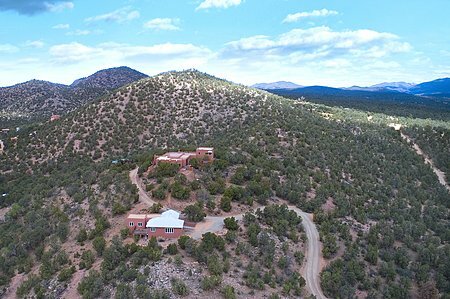 www.theeagleshouse.com Glenn Frey of the Eagles once made his home on these 4.761 captivating acres. 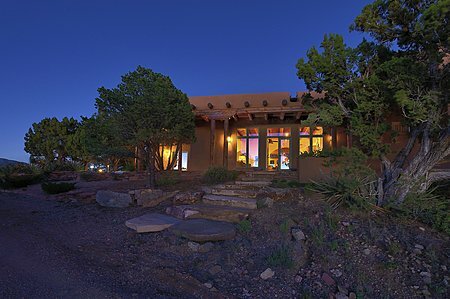 At the end of a private driveway, is an exquisite residence with breathtaking 360-degree views. 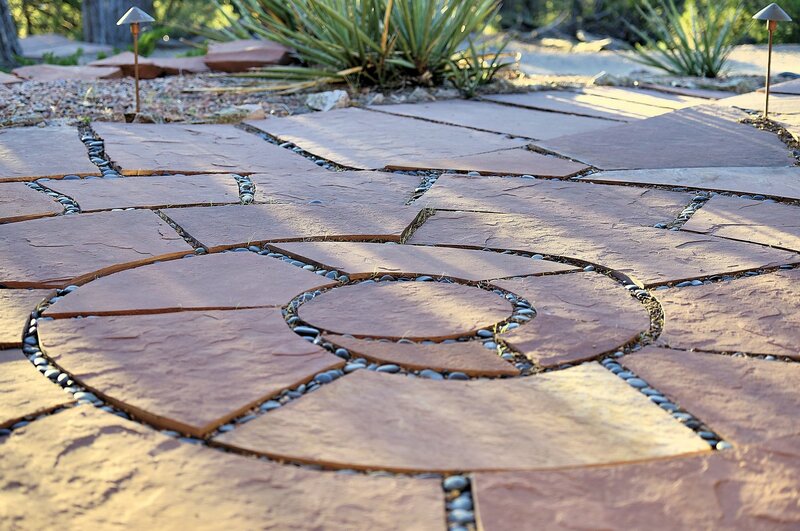 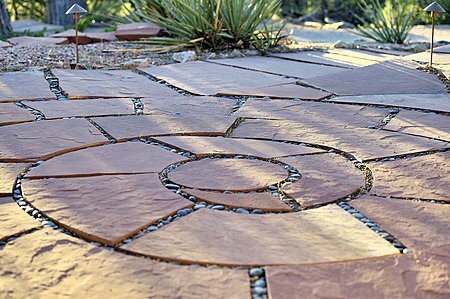 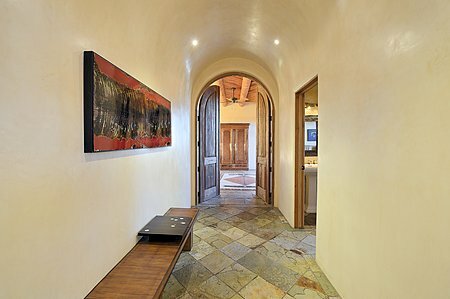 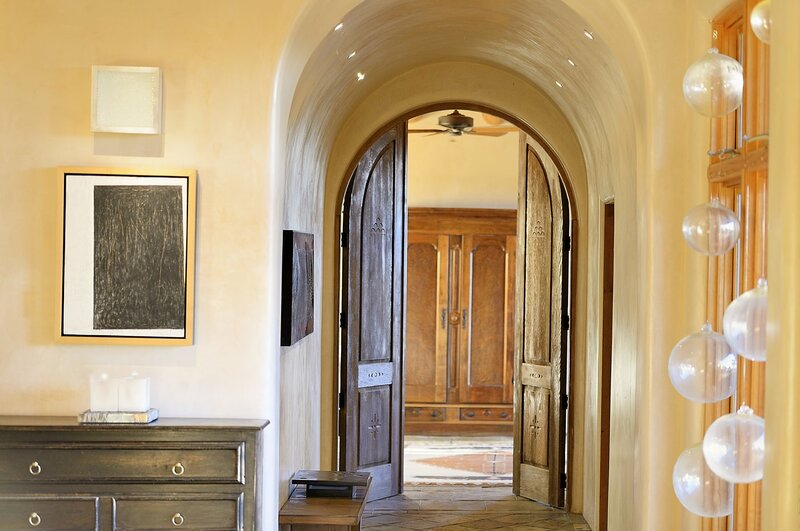 Custom flagstone leads to the main entrance where you are greeted with a spacious and bright great room. 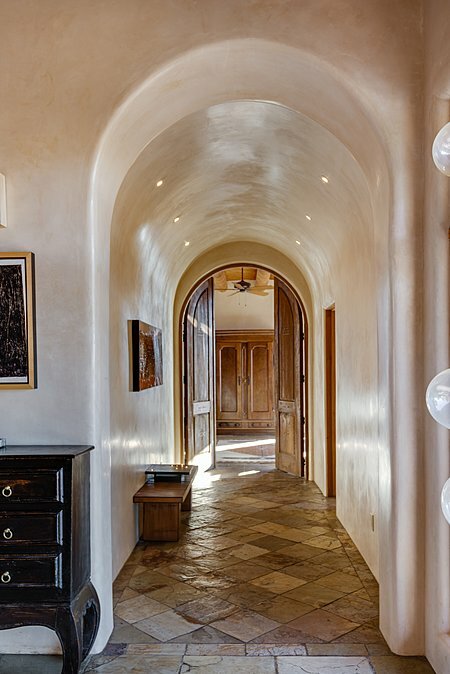 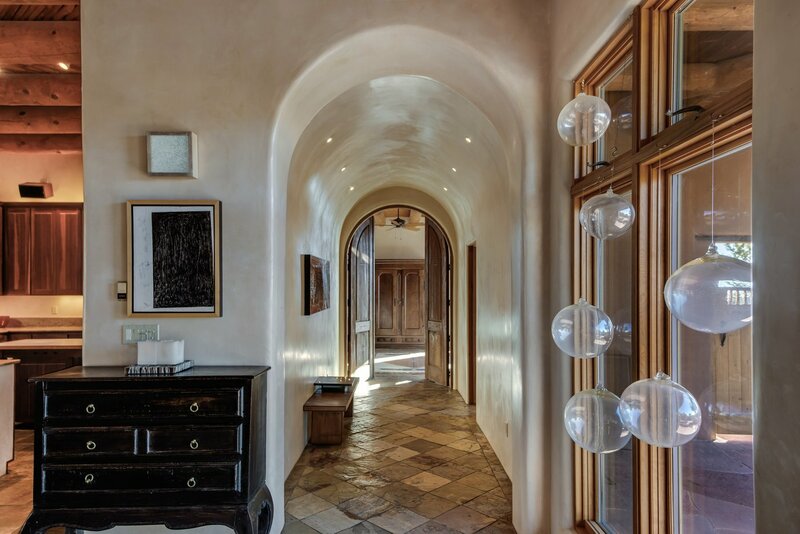 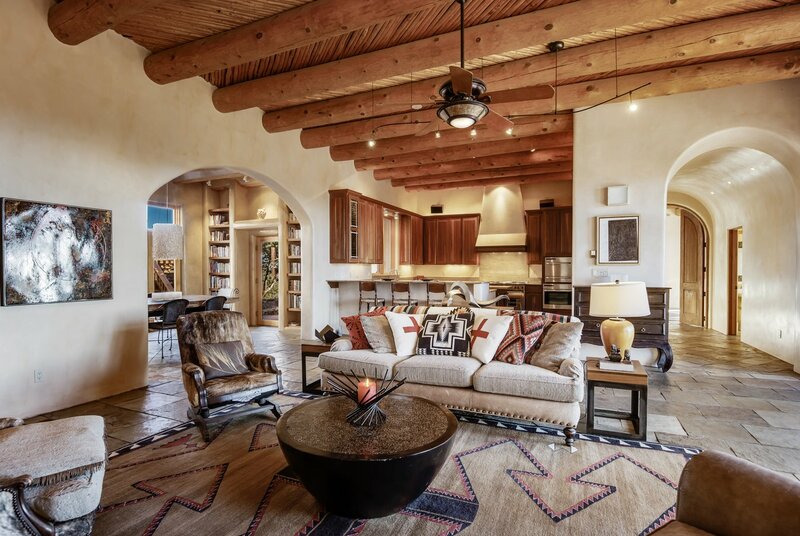 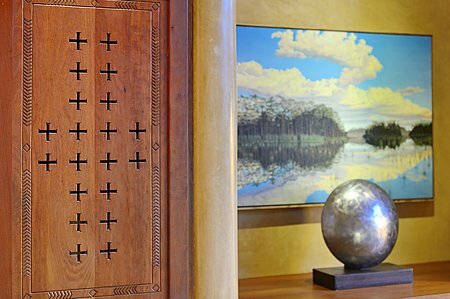 Slate floors, a fireplace of stacked Chaco stone, custom woodwork, diamond plaster walls, ceilings lined with vigas and latillas add timeless elegance. 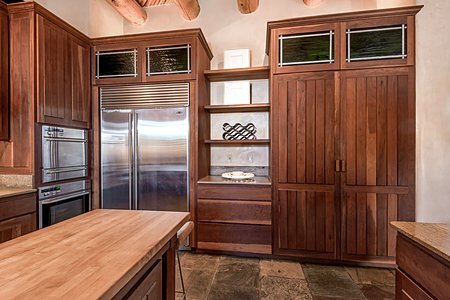 A chef&apos;s kitchen boasts a Wolf range with double ovens, a Sub-Zero refrigerator, a Miele convection oven, a steamer and stunning cherrywood cabinets line the kitchen and formal dining room. 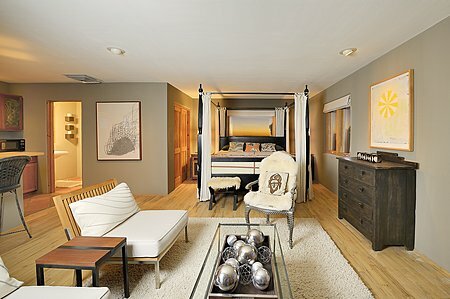 Split floorplan allows for privacy. 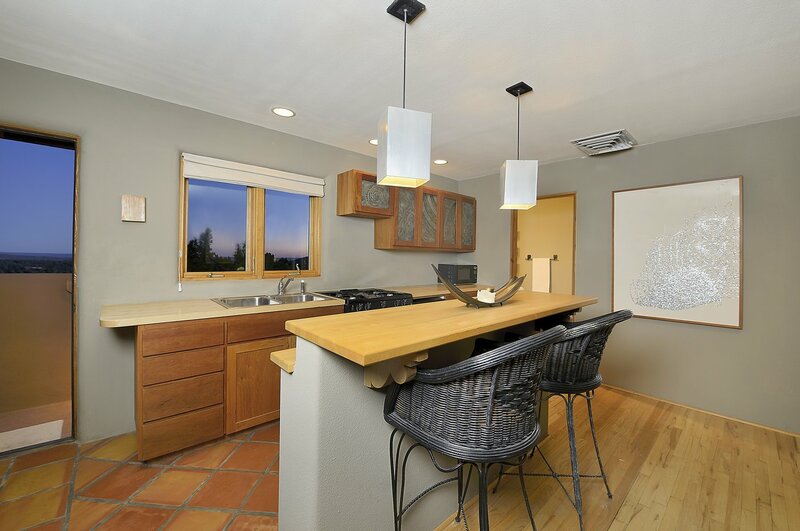 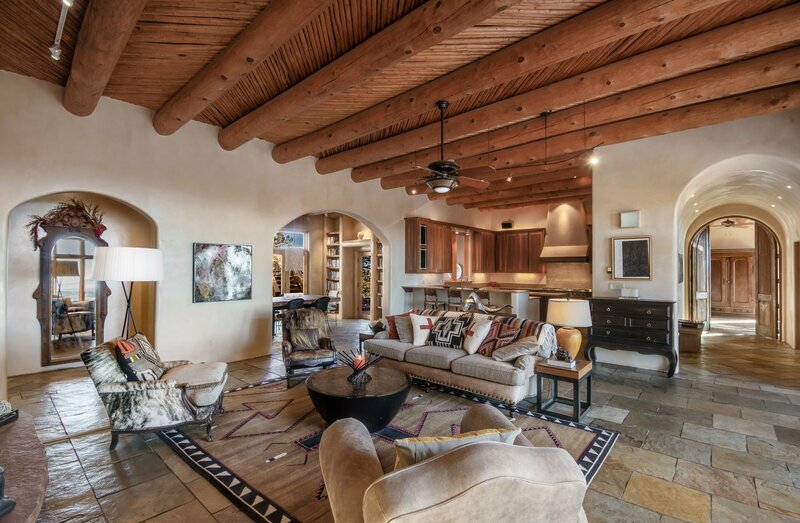 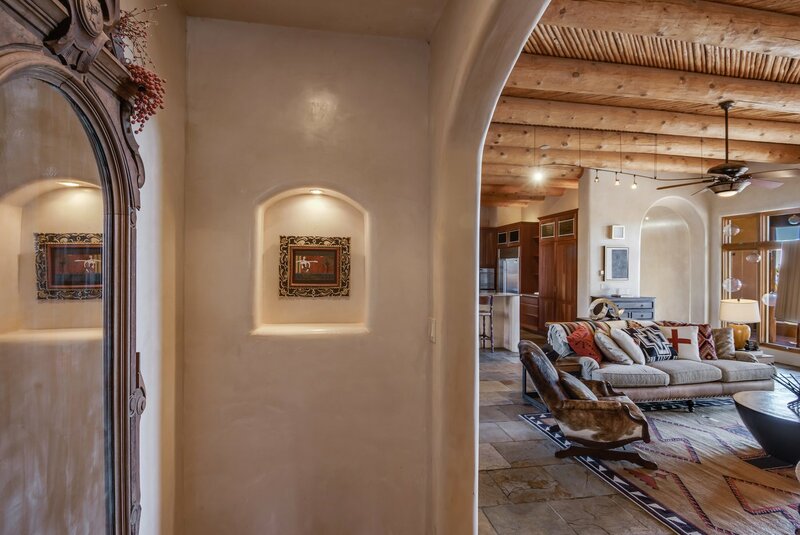 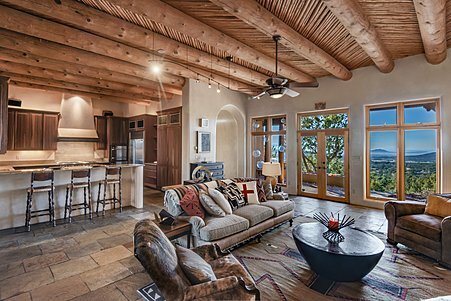 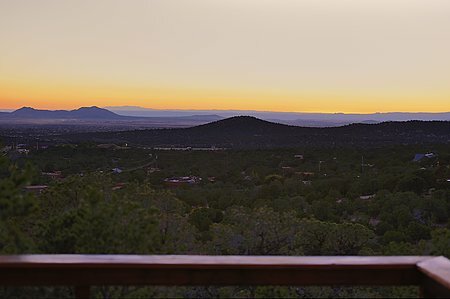 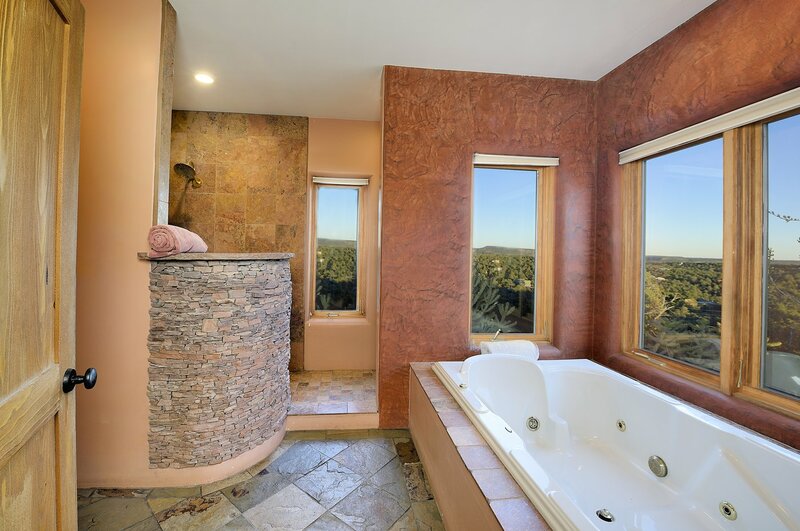 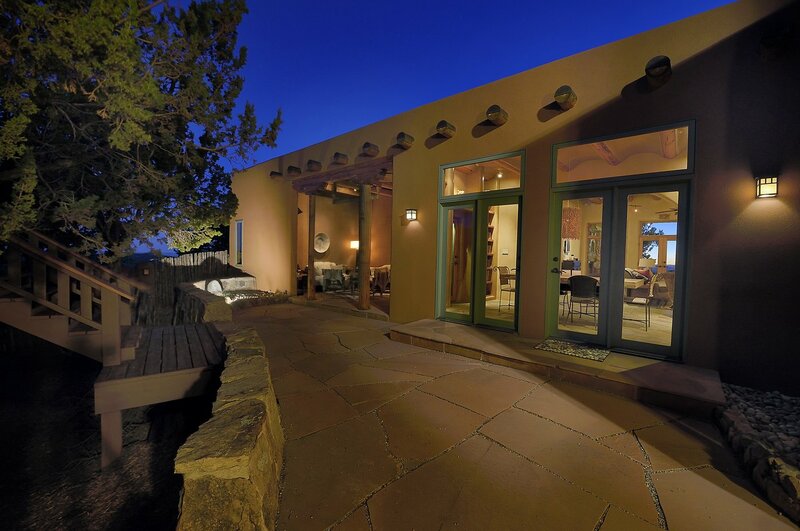 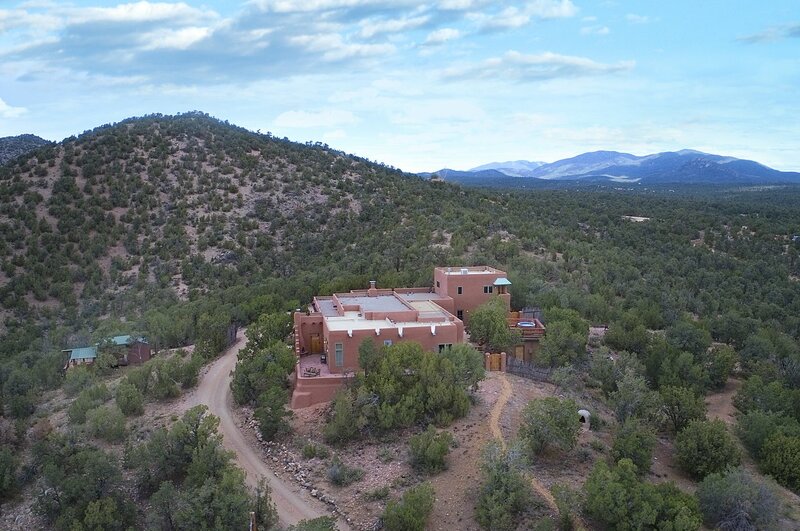 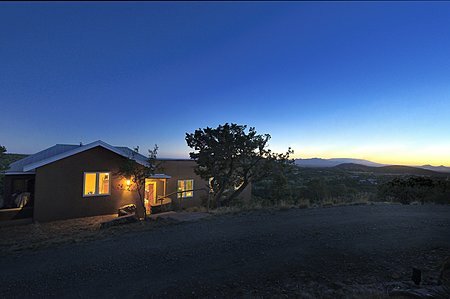 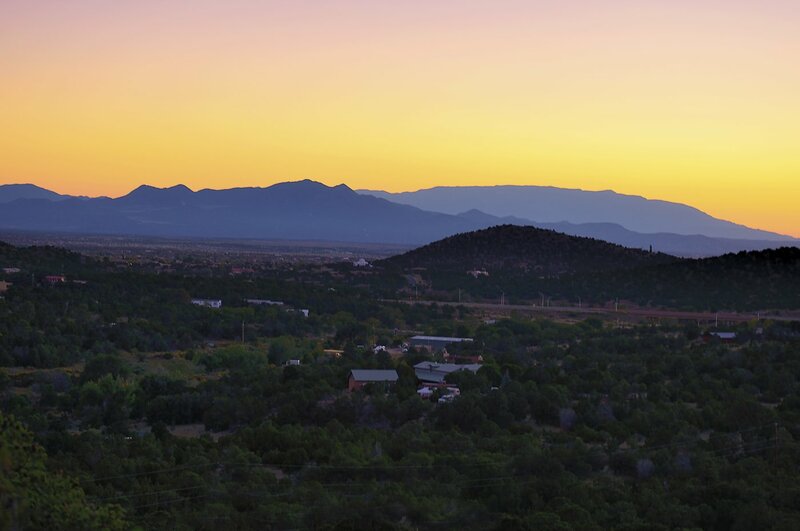 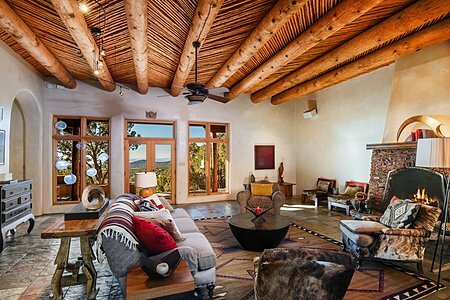 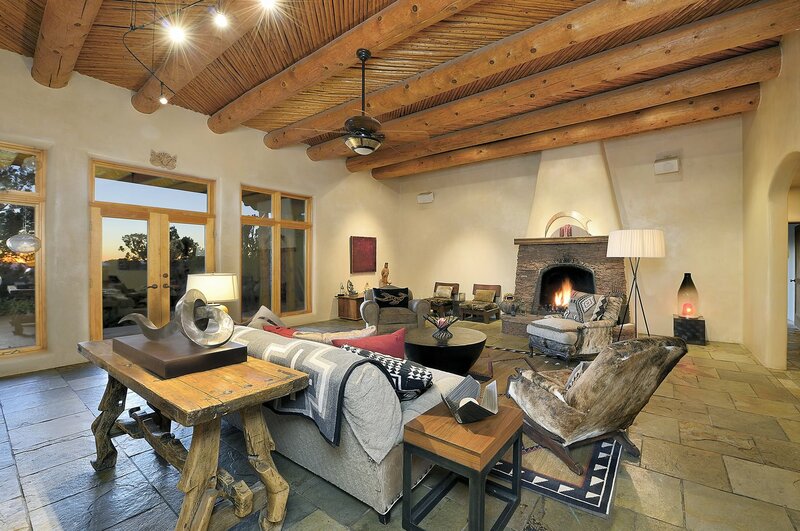 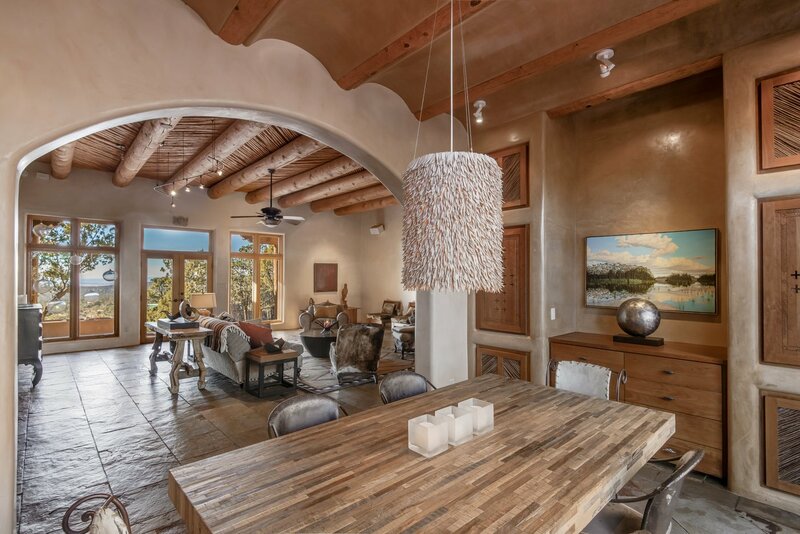 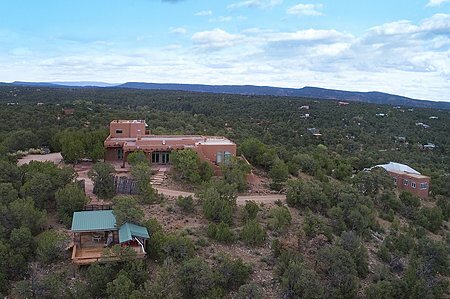 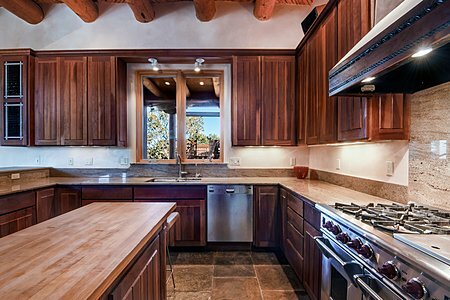 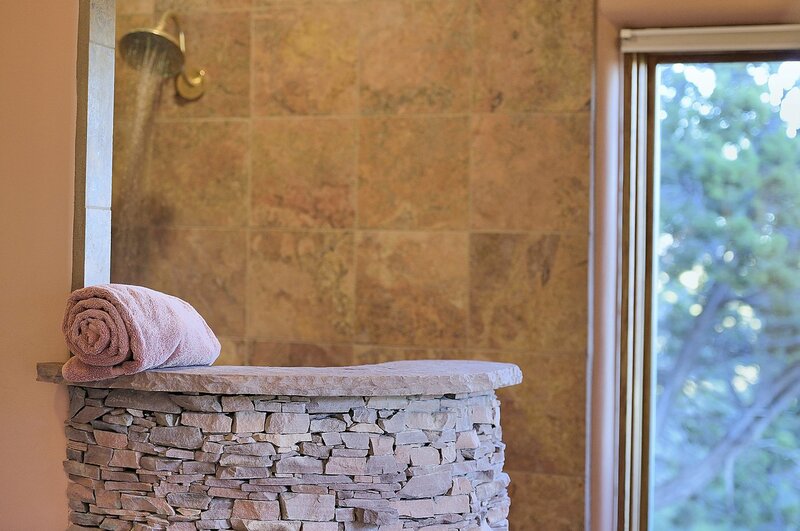 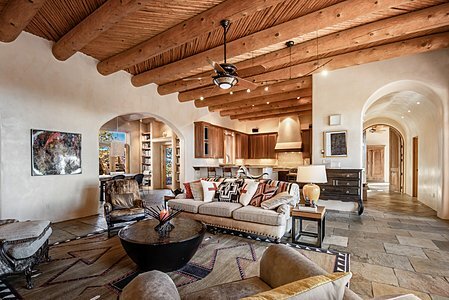 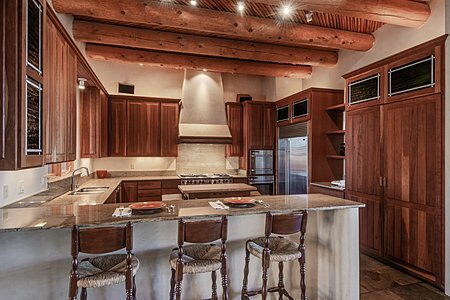 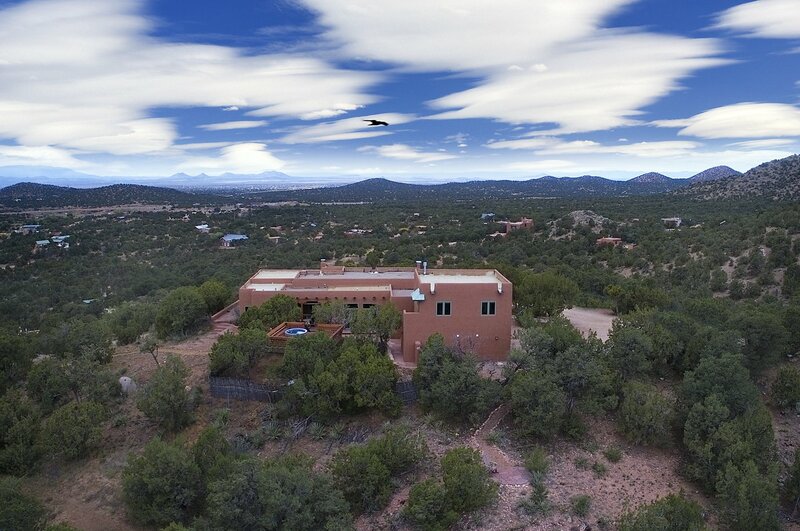 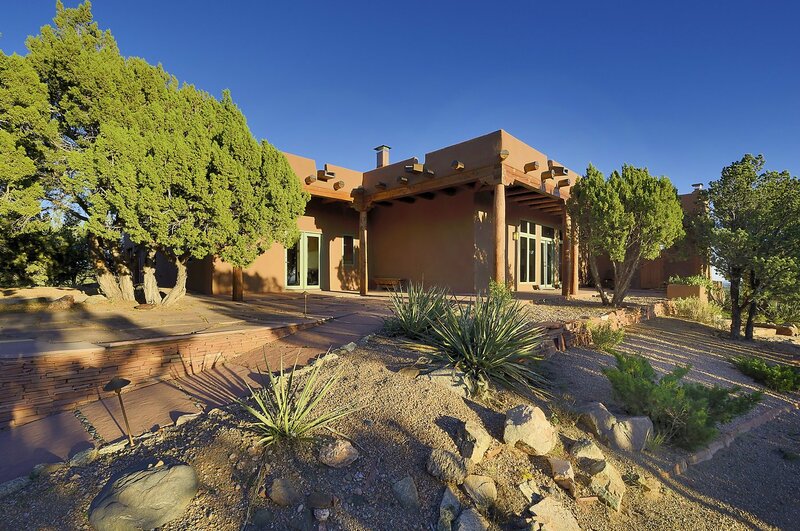 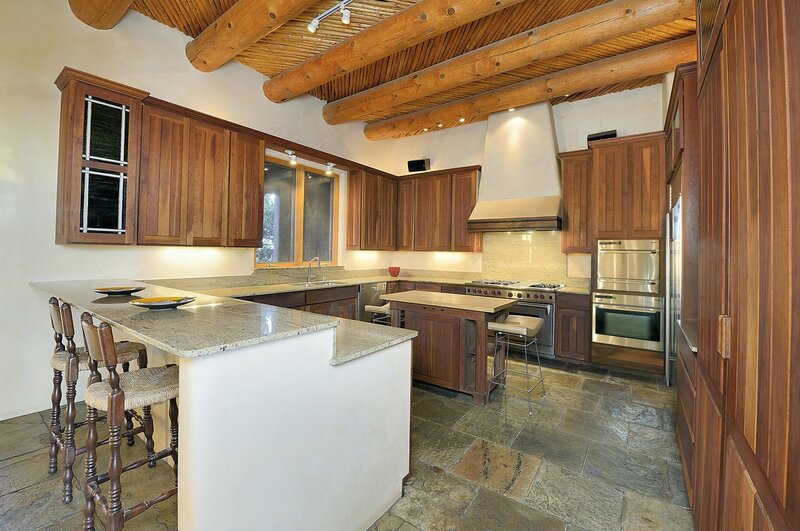 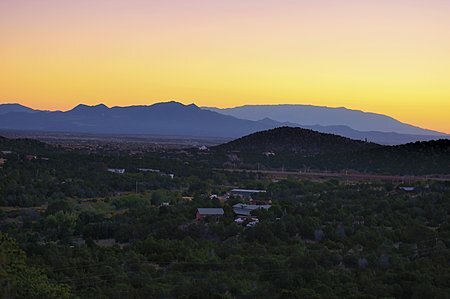 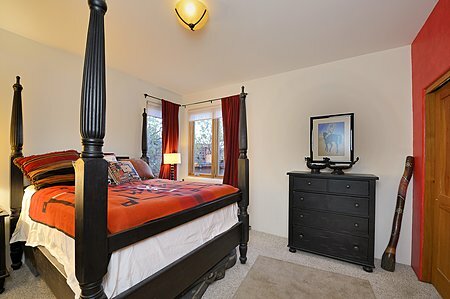 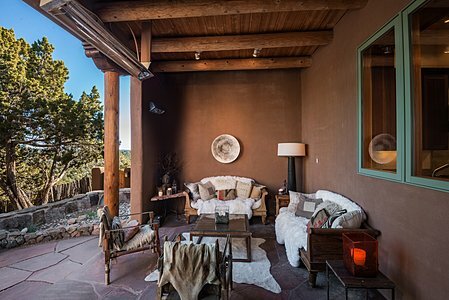 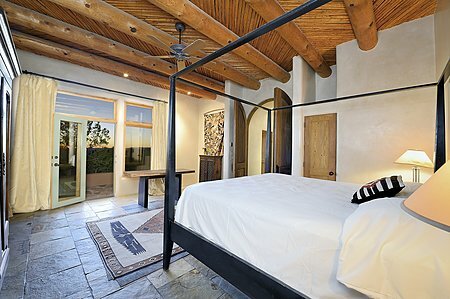 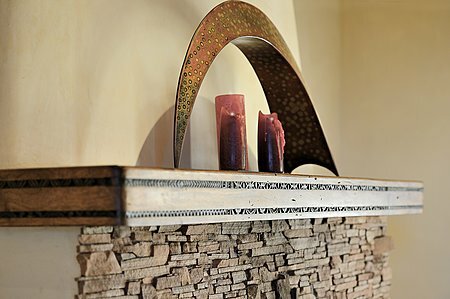 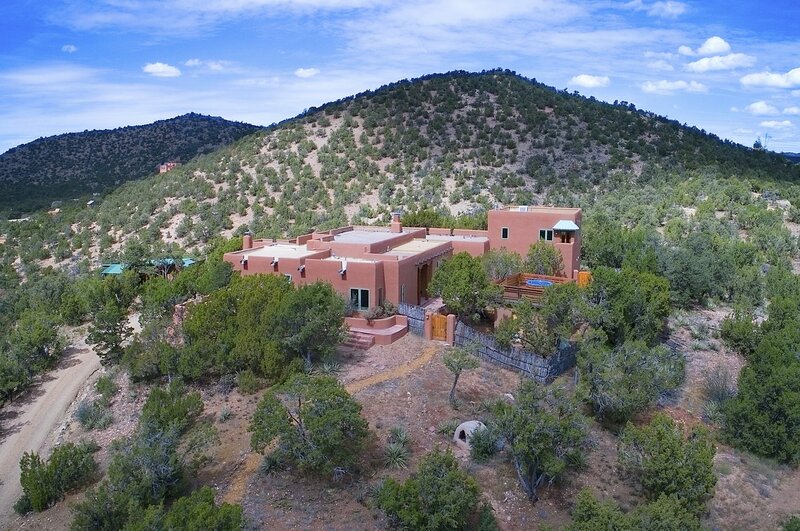 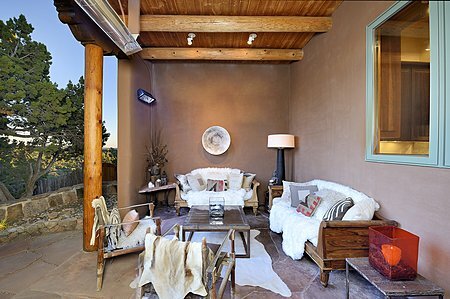 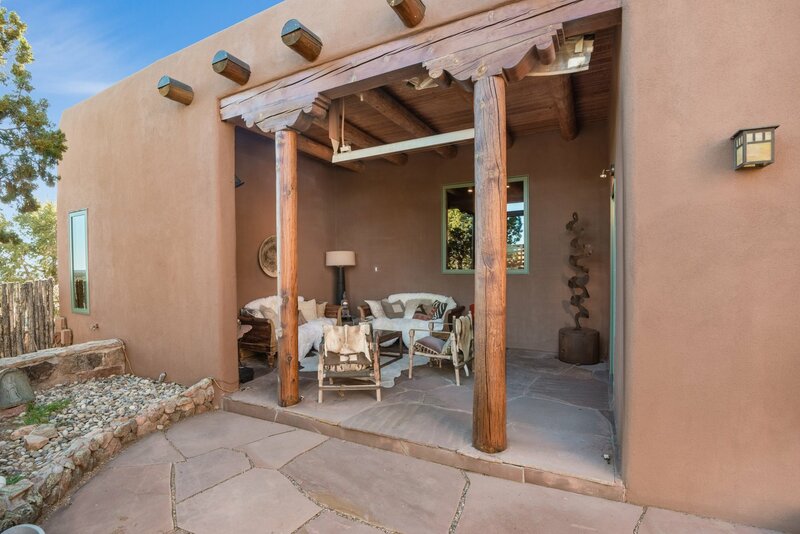 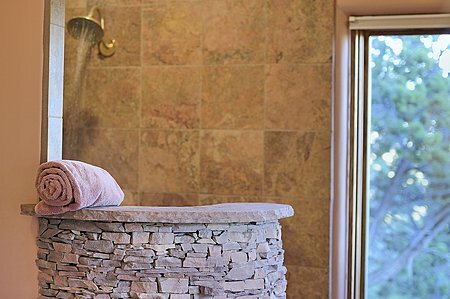 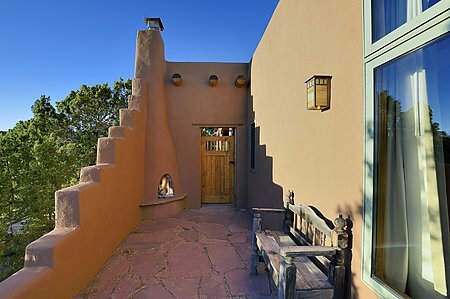 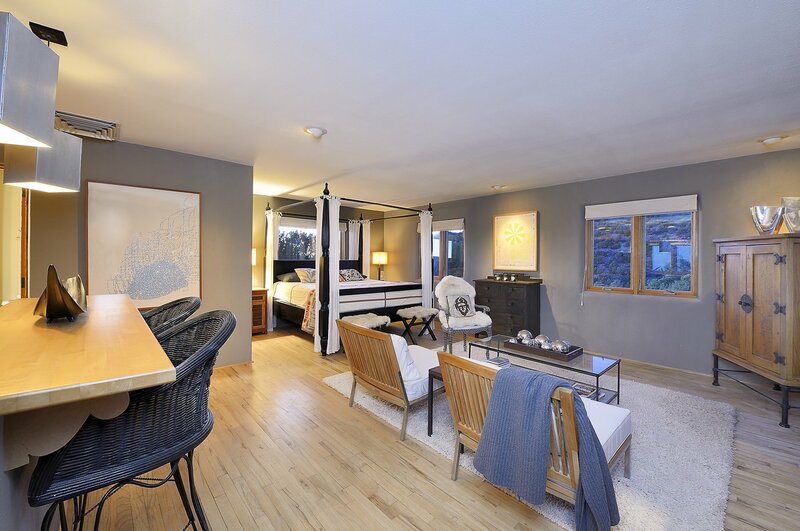 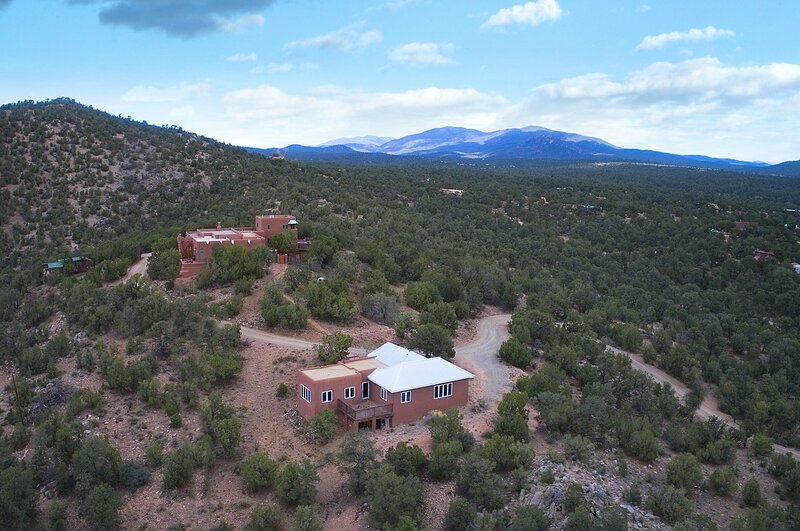 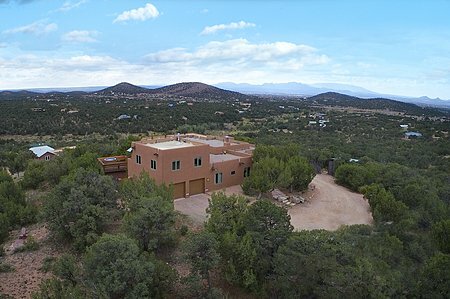 The luxurious master bedroom has mountain views and a courtyard that showcases the original kiva fireplace where Glenn Frey once took it easy. 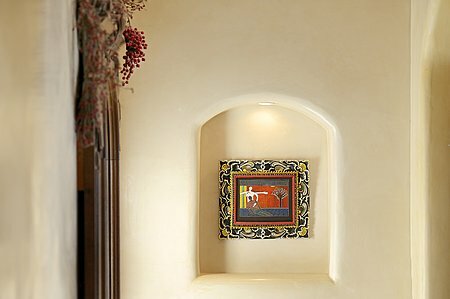 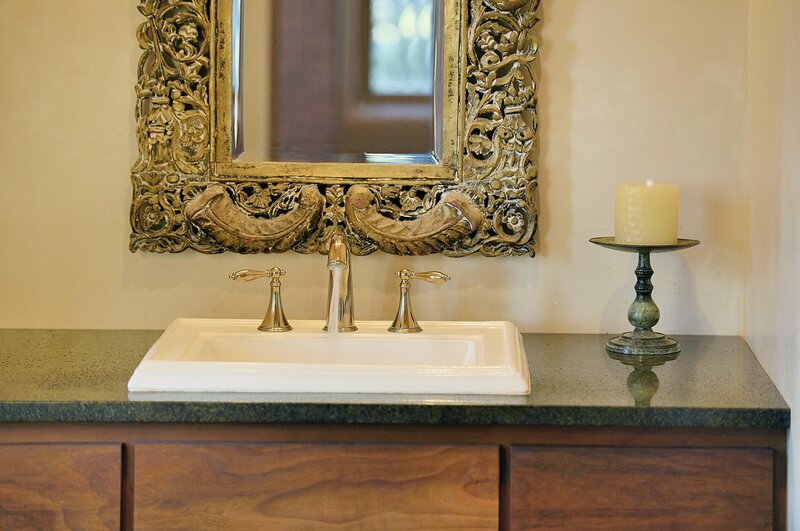 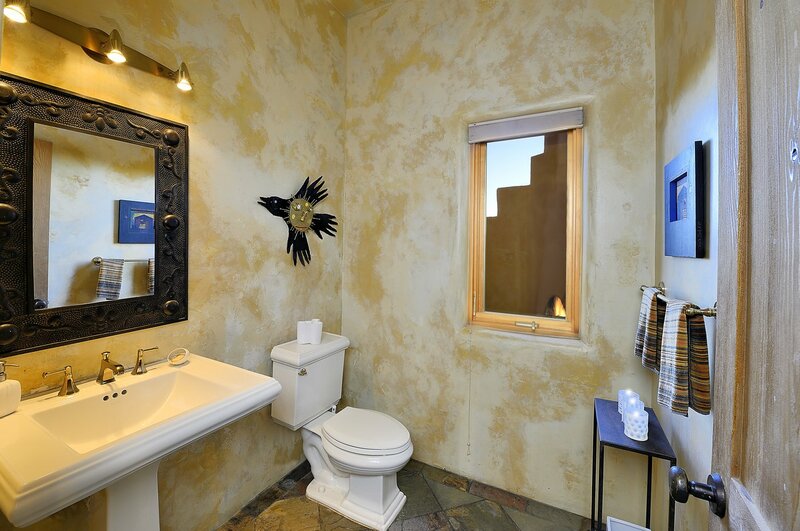 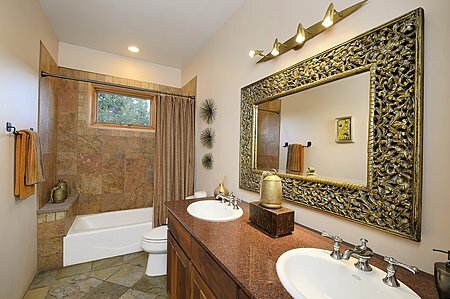 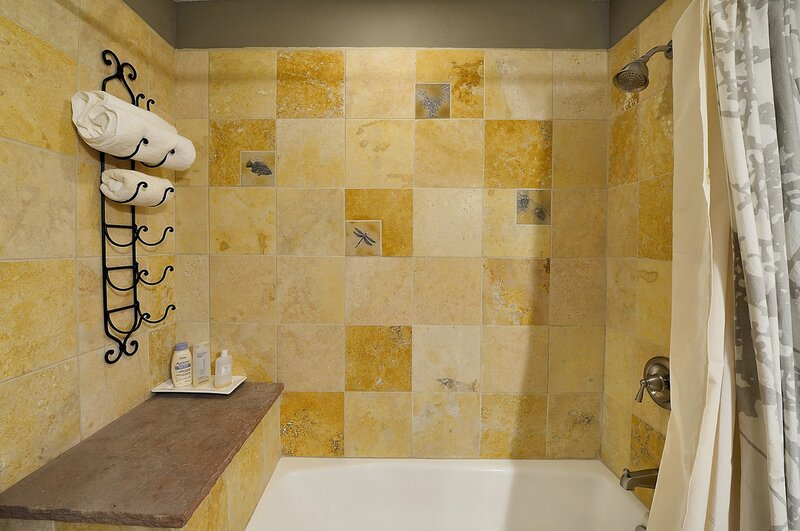 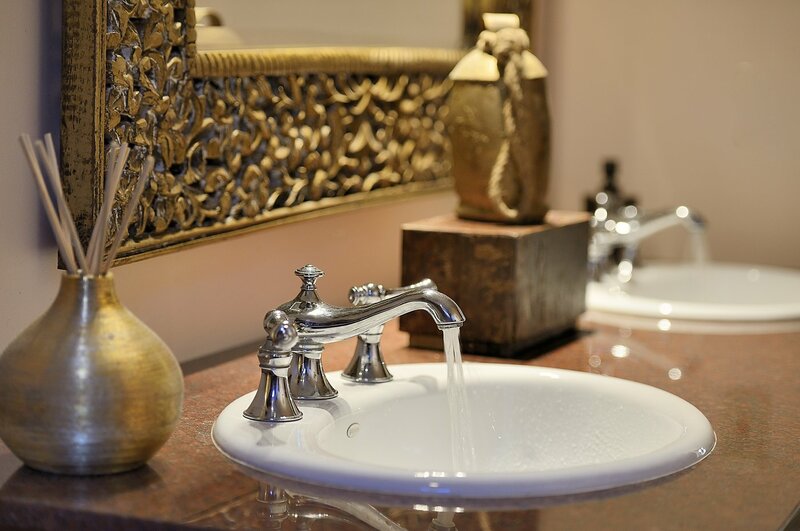 The upper-level guest suite has a private entrance, a full kitchen and cabinetry designed from petroglyphs. 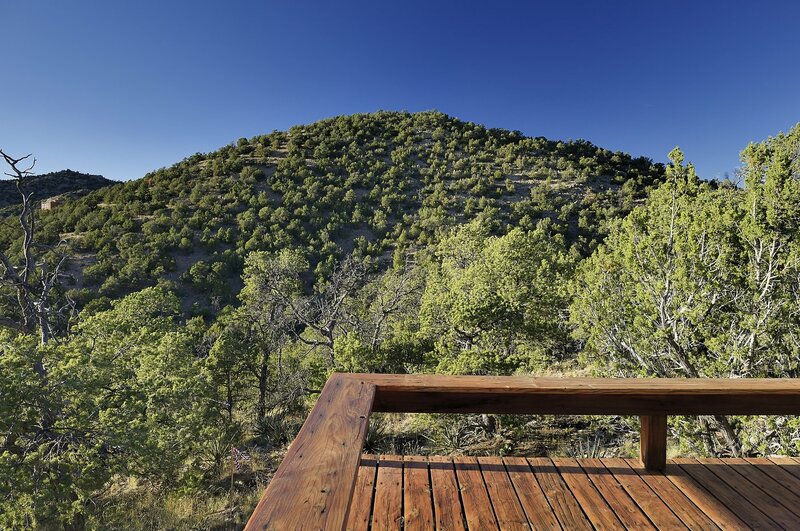 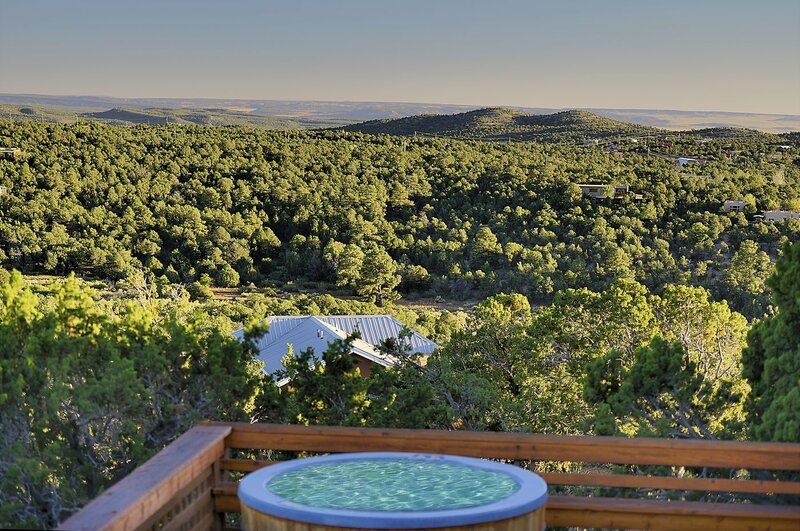 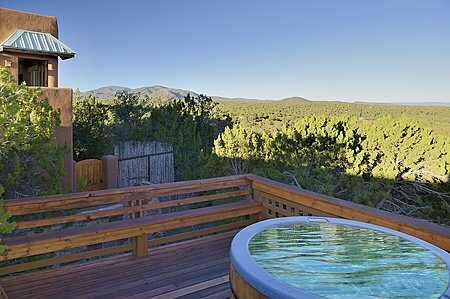 Relax in the hot tub under the stars on your private raised viewing deck. 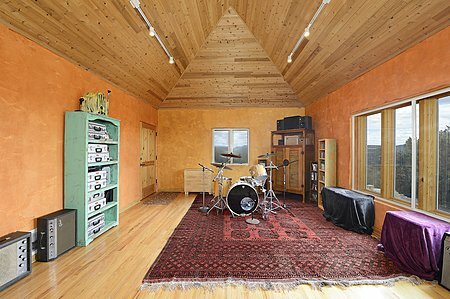 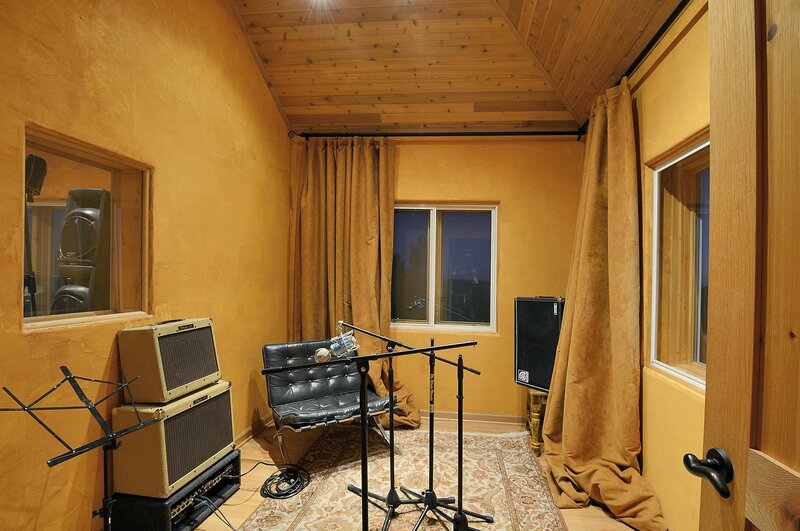 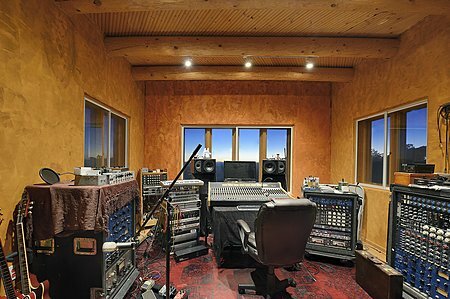 The impressive stand alone music studio was designed by a platinum producer. 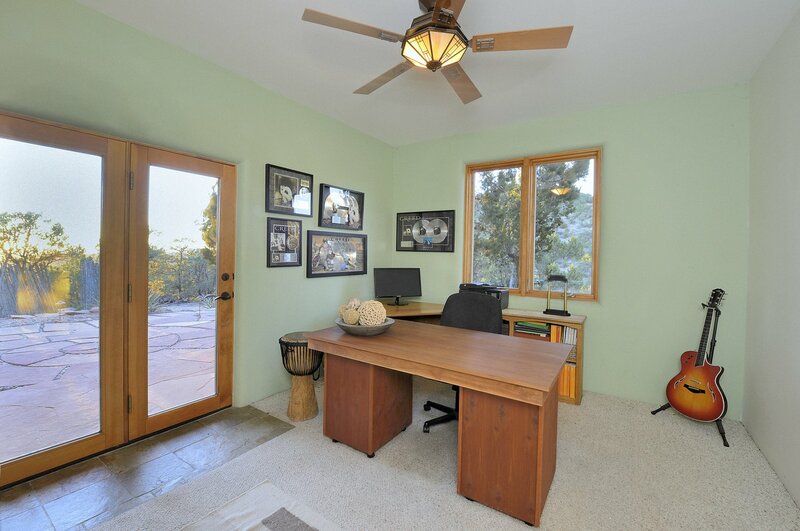 It could easily serve as an art studio or any creative purpose, and its deck affords stunning views picturesque terrain. 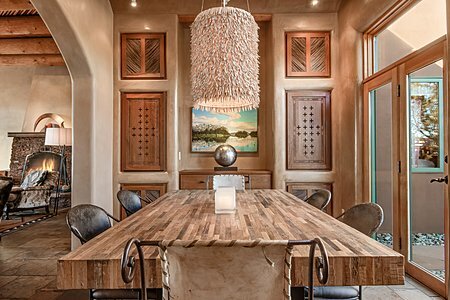 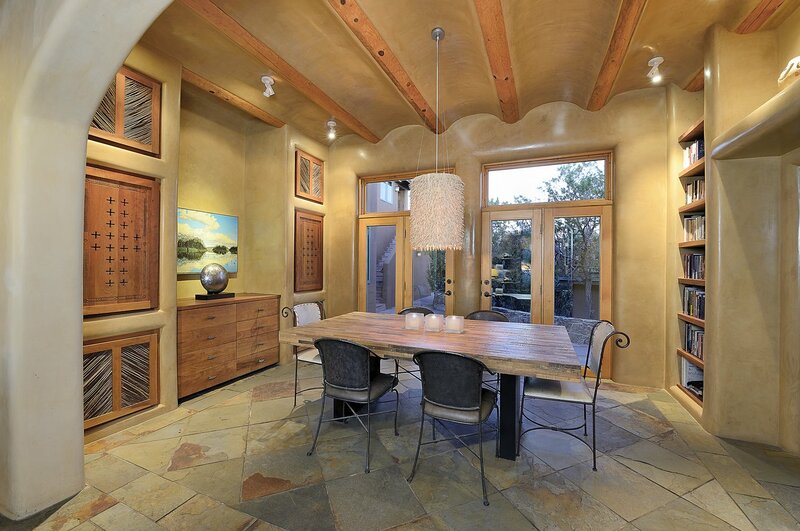 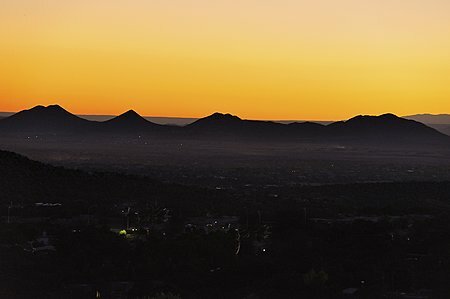 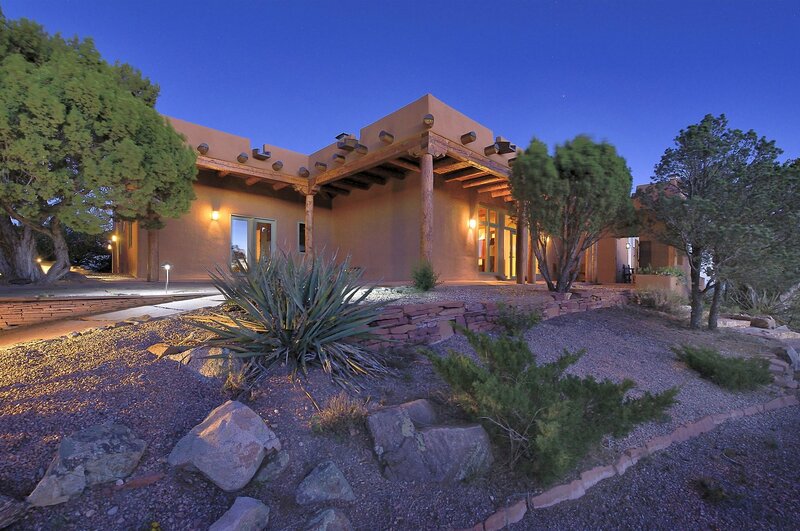 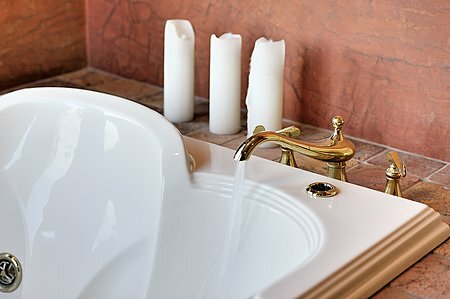 This home is truly one of a kind, a setting so beautiful it was even portrayed by Fremont Ellis of the Cinco Pintores.